The Ear Band-it ® Aqua Bands head bands was originally designed by an ear, nose and throat specialist to prevents ear infection for his young patients with ear tubes to help keep Putty Buddy plugs secure, even during vigorous activity. Ear Band-it ® are soft headbands that are worn over a pair of water-safe earplugs to keep them from falling out while swimming or playing in the water. Designed for use with Putty Buddies, the Ear Band-it ® also works well with all brands of moldable silicone ear putty. The Ear Band-it is especially recommended for very young children, helping to prevent accidents with ear putty that might otherwise accidentally fall out. Not just for kids! Adult swimmers also appreciate the benefits of the Ear Band-It ® headband/earputty system, and the large size will fit most adults. Hook and Loop like closure. Very pleased with the headband. It seems a bit small at first but fits well once it's on. Holds in place well, although did not go under water. Would recommend for anyone who's child has had grommets. We really like this product. Initially we were lent one by someone else, and my daughter liked it so much that we bought our own. The colour is vibrant, it's simple to put on, get in place, rinse out afterwards etc. As my daughter won't put a hat on it is useful not only to cover her ears, but to hold her hair back too. Just be careful to do the Velcro up in your swimming bag as it can catch (as Velcro tends to!) on swimming costume seams etc. Bought an Ear Bandit Swimming Headland for our 10 year old granddaughter when we were taking her for a holiday in Lanzarote. She suffers from ear infections and had just had a perforated ear drum prior to the holiday. She loves swimming, diving and spending lots of time in the water. The headband , used in conjunction with the ear putty, enabled her to have a great holiday without any ear problems! My Grandson couldn't go swimming because of ear infections from the water. I came across this wonderful product and he hasn't had any more ear problems since. I will definitely be recommending it to all friends and family. Unfortunately I ordered the wrong size. I ordered the medium in error and it was too small. I returned it and was given a refund. I ordered some sets of ear plugs at the same time and currently use those under my swim cap and that keeps the water out of my ears. I might try the larger size when I need new ear plugs. Excellent for swimming - had some difficulty getting it to stay on when a hyperactive 6 year old was constantly jumping into the pool on holiday. A great product though! I avoided swimming because of ear pain and infections. Especially diving and swimming under water a lot. This is the best little thing ever. I am 67 and swim regularly. Also took it to Australia and New Zealand ealier this year where I swam in the Pacific Ocean with wild dolphins. No ear problems at all. I don't find it slips although I usually wear my goggles over it which also helps stopping my hair rubbing on the goggle strap. My husband suffers from frequent ear infections so was advised by his doctor to get one of these, its perfect, keeps every drop of water out. Keep the ears totally dry and helps keep the plugs in Plus the pink colour my girl Loves. I don't know what we would do without it. I purchased a Newitts Swimming Headband a few weeks ago and I am really pleased with the quality of this product. It is a close fit with a good Velcro grip and really does keep my earplugs in my ears. I recommend this product highly to any future purchasers. These were recommended by my doctor because I had a perforated eardrum and wanted to go snorkelling on holiday, used with a ear plug this band worked well and was no trouble to use with mask and snorkel. 5 out of 5 Newitts solved my swimmimg problem! 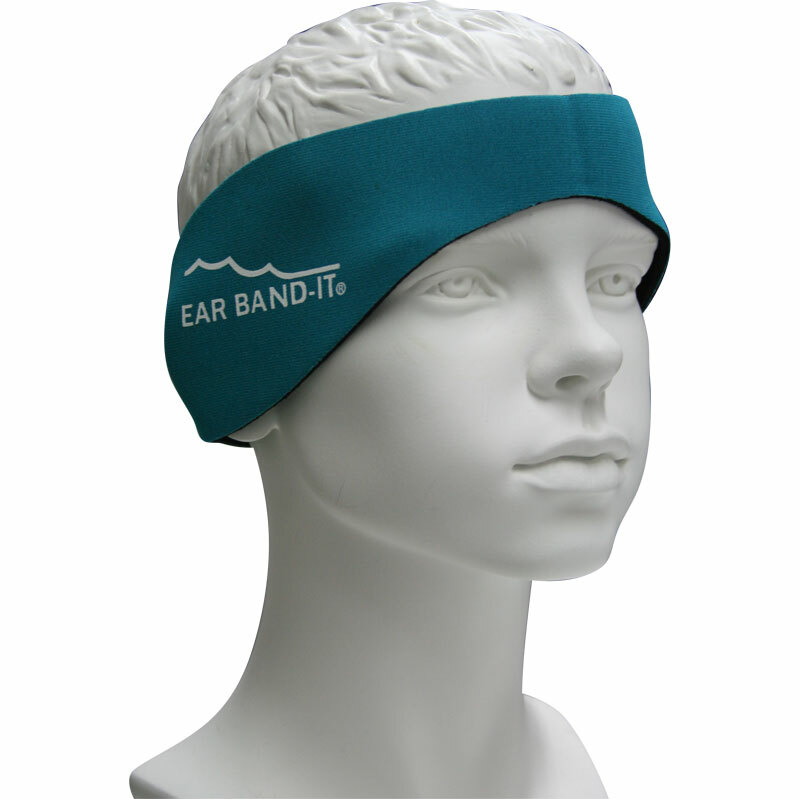 The Ear Bandit Swimming Headband plus Putty Buddies Ear Plugs recommended and sold to me by Newitts solved my perforated ear problem which was making it difficult for me to swim. The Newitts live chatline talked me through my problem and came up with the solution. The two items together work like a dream and are easy to use. I am now swimming regularly twice a week. I will use Newitts again if I need to renew these products. Thank you for helping me to keep fit. A good and reasonably priced swimming aid. Helps keep water out of the ears, particularly when used with ear plugs. The only question mark is how long it will last, with the one we bought slightly coming apart at the seams after a fortnight's use! In summary, very good for occasional use. Brought his product after my daughter started getting pain/bleeding when swimming after her grommet operation in February. This has worked wonders, she can now carry on learning to swim with no problems afterwards. I highly recommend it and well worth the money. Works with the putty buddies so our 8 year old can enjoy swimming and playing in the water without worry. Just the job and a good price. My little boy is happy to wear it. Easy to use. Would recommend. Works perfectly once you get the hang of putting them in. My daughter now puts her head under water with no crying! We have been using these with my daughter since she was 4 and she now 8 1/2. She had grommets put in for glue ear and was unable to swim without protection. 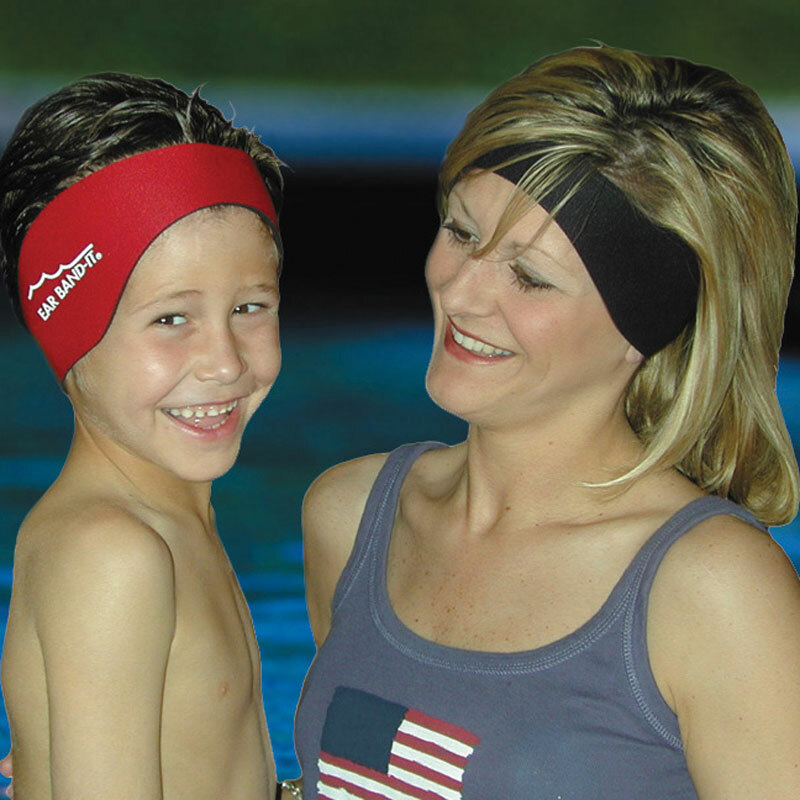 I would definitely say the headband gives a new lease of life and allows a child to swim and have fun. Each headband has lasted nearly two years and so they are well worth the money. Makes sure you only wash it under the tap or they won't last. IT FITS SNUGGLY AROUND THE HEAD AND ENSURES THAT THE EAR PLUGS REMAIN IN PLACE,MY CHILD ENJOYS WEARING IT AND FINDS IT COMFORTABLE.